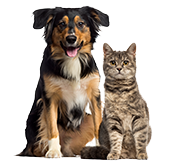 The latest news and trends about dogs and cats for our pet-loving pet parents from the team at Healthy Paws Pet Insurance & Foundation. Is Your Pet More Likely to Get Hurt During a Full Moon? Can Weather Affect a Dog’s Behavior?